Great Bold Colors and Durable ! Our residents are all at different levels -some can read and call the numbers on the easy to read black on white background others like playing the game and some like just watching all the different ball colors and having the social time. Bingo is always a winner with our residents ! They are going to be used tremendously. All the other bingo balls the numbers have worn off. We have received compliments about how beautiful they look and they really like the clear covering over the numbers. Thank you so much!!!! Wonderful product. 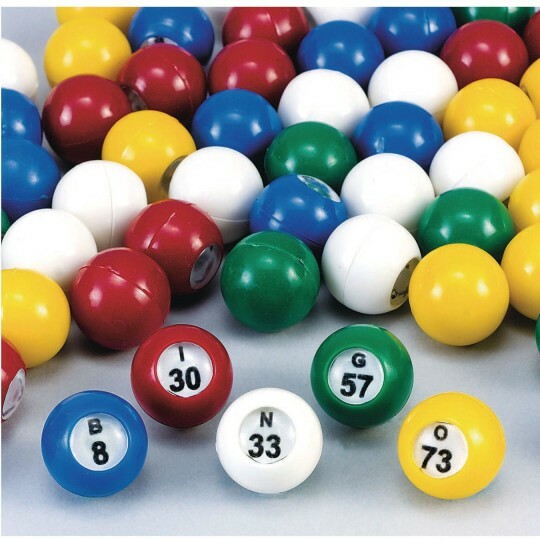 Easy to read long-lasting bingo balls. These are awesome DO NOT rub off !